Hurray! The time has finally come! The Antique Angel has been facilitating ceremonies for the gay/lesbian community since its doors opened--and now these ceremonies will be official, not only in your hearts, but in the eyes of the State of Nevada! Once you receive your license, we encourage you to bring it to the Antique Angel Wedding Chapel for safe-keeping until your big day. Many couples, in the excitement of the day, forget to bring their license which delays the ceremony. The Antique Angel offers a variety of chapel settings and rooms. We are the largest wedding chapel in Reno, and can easily accommodate multiple wedding parties at the same time! Outside ministers are welcome and encouraged! We look forward to hosting and/or performing your ceremony during this momentous time in your lives and in history! Are you at the right chapel? The Antique Angel Wedding Chapel is unlike any other chapel in town, but it's possible your cab driver or hotel concierge did not get the memo! Is there a park across the street? Are there maroon awnings over the door? Does the chapel have multiple chapel settings? If you answered YES to these questions, then you're at the Antique Angel Wedding Chapel! If you answered NO, please call us for directions at 775-337-1655. It's possible you're at another local chapel! Flash! Taking pictures during a wedding, oh my! Once upon a time people were married in a church, and while there was much laughter and excitement before and after the wedding, the actual ceremony was quiet and serious. Why? Because digital cameras hadn't been invented, yet! We perform several weddings each week, and we have observed that the most special ceremonies are the ones with the fewest flashes. When guests respect the bride and the groom and the exchanging of vows so much that they put their phones and their cameras away, something really wonderful happens. The bride and groom become the center of attention; the guests get to hear every vow, every promise. The entire wedding party affirms their agreement and their support, as they sit in silence! Hey, the ceremony is only 15 minutes--you can do it! We charge $25 for use of outside photo and video cameras. Thank you for your cooperation with our photo policy. 1) Find someone to marry (this part might take some time; be patient!). The license is $60, payable in cash, money order or traveler's check. Both the bride and groom must purchase the license in person, together. Bride and Groom must be at least 18 years old. Bring photo ID to prove your name and age (see other documents that are acceptable for proof of identity). If you have been divorced in the past, know what year the divorce occurred. 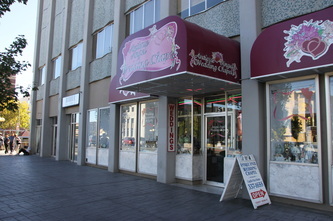 3) Bring your license to the Antique Angel Wedding Chapel, and make your reservation! 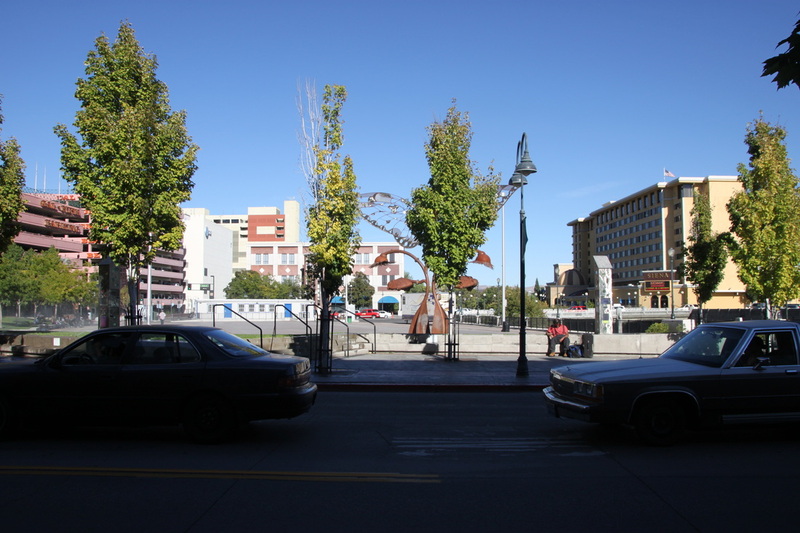 In Reno, weddings can be performed seven days a week. Unlike Las Vegas, weddings are NOT performed all night! If you are set on a specific time to get married, make a reservation and deposit beforehand. 4) Get married! If you do not have a witness, the wedding chapel will provide you with one. Tip the minister! Many ministers in Reno rely on gratuities. A minimum gratuity for a minister is $25. $100 tips are not uncommon, as this is your wedding day! The fountains are flowing, the flowers are in bloom, and the sun is shining! 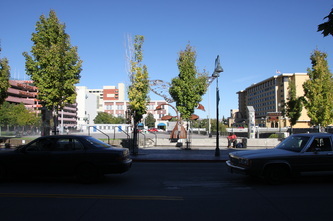 If you're planning a wedding Spring, Summer or Fall--plan on marrying at the beautiful Truckee River in downtown Reno. 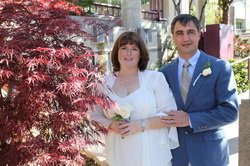 The Antique Angel Wedding Chapel is happy to perform your wedding ceremony at the River. Consider where the sun will be if you plan on having pictures taken of your wedding. 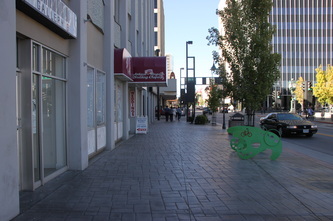 Before noon or after 5:00pm is optimal for lighting and shadowing. A late morning or evening wedding will also ensure that your guests are cool and able to enjoy your ceremony.